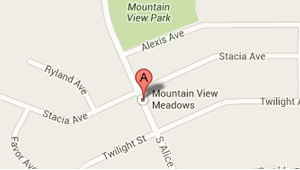 Keep updated on Mountain View Meadows. Read recent and past stories or sign up to receive upcoming newsletters by clicking the button below. It takes time to build a better community but it begins with believing in better. We believe you want more than just a house. You want a sense of place. You want to sit on your front porch and enjoy the flowers in your yard, the landscaped boulevards and the amazing mountain views. You want to live in a neighborhood where kids can safely walk down sidewalks to visit friends and family and play in neighborhood parks. You enjoy an active lifestyle and want to walk your dog and run, hike or bike on paved trails that connect to business, shopping, schools and entertainment. You are community-minded and appreciate energy conservation and protecting land, wildlife and water resources. And most of all, you value time to enjoy your home, your family and all that Montana offers. That’s why we believe in building a better community – because you believe in better! At a recent community luncheon with local Commissioners hosted by the Helena Area Chamber of Commerce, representatives from Lewis & Clark County reached out for input on a coming plan to zone the Helena valley. A 2017 amendment to the County growth policy addressed the Fort Harrison area, as well as rural, transitional and urban growth areas in the Helena valley. With zoning now part of the policy discussion for the Helena valley, the County plans to hold work sessions and public meetings in the coming months to gather comments and ideas from the community. Further information along with the "A,B,Z's of Zoning" will be provided on the Lewis and Clark County website. "We plan to employ the same collaborative and thoughtful process to zoning of the Helena valley that we did when updating the latest version of the growth policy," said County Commissioner Andy Hunthausen. "Zoning can be an excellent tool for guiding growth, and done well, can protect property rights of land owners, while providing predictability and efficiency to land use and subdivision. We want to grow into a community that we can all look back and be proud of". The City of Helena 2011 Growth Policy created a clear vision of the areas adjacent to the city which would be best served by annexation to Helena, providing opportunities for housing and commercial development while protecting agricultural, recreational, water and other natural resources. The residential and business community Mountain View Meadows, located in the southeast corner of Helena, could have remained in the county when development began there in 2004. However, it appeared to developer Mark Runkle that the residents that would eventually own homes at Mountain View Meadows would be better served with City infrastructure and services. As a proponent of complete streets and the connectivity sidewalks and trails provide in creating accessibility for people of all ages and abilities, Runkle chose to invest in the City of Helena. Through the phasing process, as each new area of Mountain View Meadows develops, the approved infrastructure and the developed lots, parks and open spaces are annexed into the City of Helena. To date, along with all the inherent infrastructure, over 220 single-family homes and condos, a 5.2 acre fully-developed park, and commercial acreage that includes the new home of Blue Cross Blue Shield of Montana have been annexed into Helena with more residential and business lots being developed each year. Over time, Runkle looks forward to residents walking to work, restaurants and entertainment as the business and commercial neighborhood continues to develop. "Even though Lewis & Clark County had no zoning which would have made development much cheaper had we remained in the county, it was clear to me that Mountain View Meadows belonged in the City. We saw Helena as the center for economic growth where most of the residents throughout the county work and play. We wanted to be part of building and sustaining the economic vitality of Helena, adding to the tax base rather than contributing to unmanaged growth. We were very excited to hear at the luncheon that Lewis & Clark County is taking steps forward to better manage growth for the benefit of the greater community."